Ableton Live is a software music sequencer and digital audio workstation for macOS and Windows. Over the past few years, Ableton Live has become very popular thanks to its easy work flow and flexible features. Ableton Live is designed to be an instrument for live performances as well as a tool for composing, recording, arranging, mixing, and mastering. Ableton Live is also very popular among DJs. If you are a music producer or an aspiring artist looking for the best laptop for Ableton Live, you’re on the right page. To help you narrow down your search, we have compiled a list of some of the best laptops for Ableton Live available on the market today. But before we move on to the list, let’s have a look at some of the things you should look into when looking for a laptop for Ableton Live, and music production in general. What to look for in a laptop for Ableton Live 10? Note: Ableton Live 10 is 64-bit only and not supported by Linux based OS. By looking at these specs, you can see Ableton isn’t particularly demanding when it comes to minimum specs. But you should always bear in mind that these are the absolute minimum requirements needed to run Live, and in practice you’ll need higher spec in order to work most efficiently. In order to choose the best laptops for your needs, you should first ask yourself how you are going to use Ableton Live. Are you going to use Live mostly for music production, are there any special plugins or effects you’ll need to use with Ableton Live (Some plugins have their own specific requirements), are you a DJ looking for a laptop that you can use for a live performance…asking yourself these questions will give you an idea about the type of laptop you should be looking at in order to have the best experience, and also if you should consider a laptop in the first place. The CPU is the primary factor in your ability to run Ableton Live and work with large complex projects. As a rule, for music production, get the fastest multicore processor that you can afford, because on most laptops, you might be able to upgrade the RAM and the hard drive, but not the CPU. Generally, multi-core Intel-based processors are considered among the best in the market, the most powerful being in the Intel i5 and i7 families (and recently the i9 family). Most budget laptops nowadays have dual core processors, while stronger ones have quad or even hexacore processors. But regardless of core count, it is preferable to look for processors that have a clock speed higher than 2.0 GHz (which is quite rare on laptops) in order to ensure optimal performance for Live 10. You should also keep in mind that getting a more powerful processor will have a direct effect on the battery life. RAM is the second most important component of a PC or laptop. And even though Ableton requires at least 4GB RAM to run Ableton live, it is highly recommended that you consider laptops with a minimum of at least 8GB of RAM. Also, if you are going to use Ableton Live in a more advanced way, you should look into laptops that have 16GB of RAM. Having more RAM not only will make your workflow smoother in Live 10, but it also helps with if you’re multitasking and running other programs at the same time. Solid state drives are recommended, since they are extremely faster than traditional mechanical drives, and make your laptop more responsive. However, they are more expensive and will really add up to the price of your device. And that’s why most manufacturers nowadays only include a 256GB SSD, which can be a problem if you need lots of space, to install sound libraries or samples. If you’re on a budget, you may still go for a standard hard drive (you can always upgrade from a mechanical drive to an SSD). You can also go for a laptop with an SSD, and even if the storage capacity is small, you may still use and external drive to store your bigger files and samples. When it comes to music production, it is important to have a laptop that offers at least 2 USB ports to connect other devices such as dongles, drives, or MIDI controllers. Also, if you’re a professional music producer, you might want to use portable DAC (Digital to Analog) in order to get a more accurate sound reproduction. ASIO stands for (Audio Stream Input/Output), and it’s a computer sound card driver protocol that provides a low-latency and high fidelity interface between the program and the computer’s sound card. For most laptops, the built in sound card will mostly come with a custom ASIO driver. For optimal performance, Ableton recommends setting up ASIO drivers. If you’re laptops doesn’t support ASIO you can still download ASIO4ALL , which is a freeware universal audio driver for Windows which supports ASIO. Now that we have looked at the specs that will make a difference when using Ableton Live. Let’s check our top laptops picks. In case you’re considering a laptop that isn’t on our list, you can use the above information as a guide, and to buy the most powerful computer you can afford. Personally, I am a big fan of the Acer Aspire E15 series, they are reliable, and offer plenty of value for the money. If you are looking for a cheap laptop for Ableton Live, then consider this budget laptop. Although the Acer Aspire E15 E5-576G-5762 isn’t exactly what you’d call a cheap laptop, it still manages to stay relatively affordable, and most importantly, offers more features than similarly priced laptops. The Aspire E15 is equipped with an 8th generation I5 processor, 8GB of RAM, a 256GB solid state drive and a dedicated GeForce MX150, which is an equivalent of the Nvidia 1030. 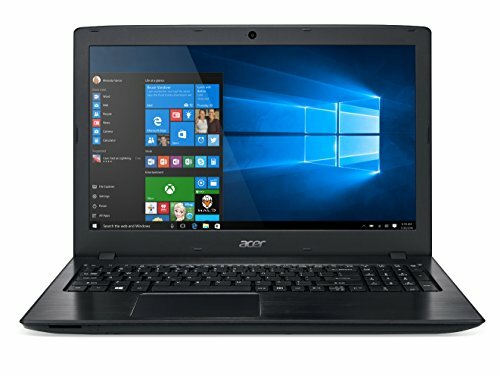 The fact that the Aspire E 15 comes with a solid state drive and 8GB of RAM makes the laptop more responsive, and the overall performance is very good. The Aspire E15 can handle anything you throw at it, even gaming. This laptop also offers easy upgradability: you can add more RAM (up to 32GB) and second hard drive too. Battery life is another thing to note about the Aspire E15: while Acer claims a battery life of 12 hours, you can expect an average of 8 hours in real world use, which is excellent at this price range! The Asus Vivobook Pro 17 N705FD-ES76 is a 17 inch laptop that combines performance to a sleek design. The Vivobook Pro 17 comes loaded with plenty of power: an i7-85650U processor, 16GB of RAM, a dual 256GB SSD and 1TB standard hard drive, and a dedicated Nvidia Geforce 1050 graphics card. The I7 8565U is an 8th generation Intel processor that offer a performance similar to the previous i7-7700HQ, but being a “U” processor, the i7- 8565U consumes less power. 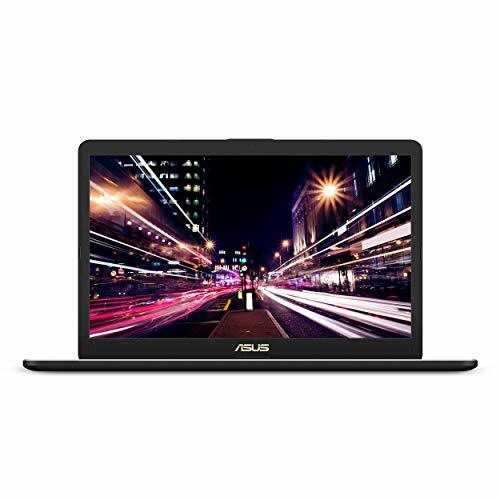 The Asus Vivobook Pro 17 N705UD-EH76 is a very good choice if you’re looking for a powerful 17 inch laptop for Ableton Live, that you can also use for gaming, video and photo editing, and other daily productivity tasks. The Vivobook Pro 17 N705FD-ES76 also offers plenty of USB ports, and a good battery life for a 17 inch laptop. 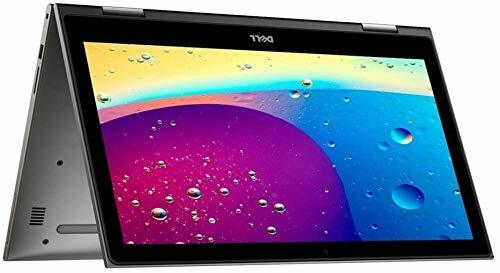 If you’re looking for a good laptop for Ableton, and don’t need a gaming capable laptop, then consider the Dell Inspiron 15. The Inspiron 15 is the perfect balance between build quality, portability and performance. With a maximum thickness of 0.8 inch and less than 5 pounds, the Inspiron 15 remains thin and relatively lightweight . Under the hood, the Inspiron 15 is powered by an 8th generation quad core Intel i7-8550U processor, 16 GB of RAM, a blazing fast 512 GB SSD. You can also get the same laptop with a 1TB SSD, in case you need more storage and you don’t want to upgrade the laptop yourself. In terms of performance, the Inspiron 15 5579 is perfect for multitasking, and can run Ableton Live 10 with no issues. However, since this laptop doesn’t have a dedicated graphics, it’s not good for GPU intensive tasks, such as gaming. Battery life is excellent for a laptop with dedicated graphics and a 4K screen; you can expect to get about 8 hours of real world use from a single charge. When it comes to digital music, Apple’s MacBook Pro has always been the go-to option for most professional producers, and there is a reason for that. MacBooks offer reliability, and a longer life compared to Windows laptops. Mac OS also offers the stability and simplicity producers need. 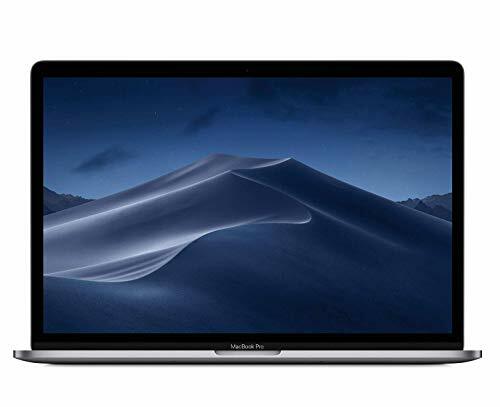 The New MacBook Pro is the the slimmest, slickest and best-looking Macbook Apple has ever created, and it’s also one of the best selling laptops on the market. This laptop comes with a powerful 8th Gen Intel i7 processor, 16GB of RAM, a 512GB SSD, and a dedicated AMD Radeon Pro 560X graphics card. The MacBook Pro also comes in a stylish, aluminum chassis, has a thickness of only 0.61, and weighs just above 4lbs. Battery life is great, and you can expect a solid 9 to 10 hours of use. 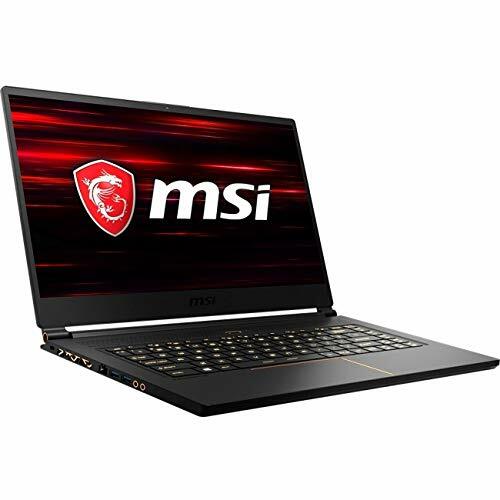 The MSI GS65 Stealth is one of the few gaming laptops that offer a mix between portability and performance; it is powered by an i7-8750H processor, 16GB of RAM, a 512GB Solid State Drive, and a dedicated Nvidia 1060 graphics card. And whether you’re working a set with multiple tracks on Ableton Live, or playing Overwatch at the highest settings, the MSI GS65 maintains a solid performance. Another reason why the GS65 Stealth made it to our list is its sleek design: this laptop is only 0.69 inch thick and weighs only 4.14 pounds.